Allein durch Muskelkraft und allein in seinem Kanu will Jürgen Schütte die Eismeerinsel Spitzbergen umrunden. 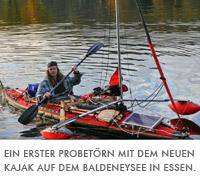 2.000 Kilometer Strecke heißt rund 100 Tage lang in seiner "Nussschale", bepackt mit allem, was man in der Kälte auf dem Wasser zum Überleben braucht. Click here to view the original video in German language! More sponsors supporting our expedition! I'm happy to anounce that we managed to get further sponsors to support our expedition. Cullmann, a renowned German supplier of photographic equipment is sponsoring special tripods and accessories. Ansmann will support us with their excellent rechargeable batteries and chargers. Balzer are helping us with their fishing equipment. French company Logic Instruments are giving us one of their "Rugged Edge" Outdoor Notebooks to edit photos while on tour and send pictures and texts home via satellite phone. 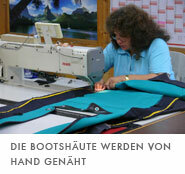 Kokatat support us with one of their dry-suits and further paddling apparel. Links to all sponsors are here: SPONSORING. After Uli decided that he won't be able to accompany me on the expedition, I posted a search for another expedition partner on several kayak and outdoor sites. Heike, a German-American with Arctic and Antarctic kayaking experience, joined the expedition. But we are still looking for a third expedition member. Safety lies in numbers! Together with the WWF–Germany, we'd like to draw the public attention to Global Warming and it's threat to the survival of Polar Bears in the Arctic. During the expedition, we are planning to keep a blog where we will post updates on a regular basis. Until then, we will have regular training paddles: I will paddle here in Germany on rivers and lakes; Heike in Ohio on rivers, reservoirs, and Lake Erie. 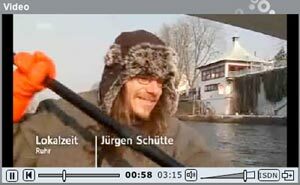 In February 2008, I paddled on the Ijsselmeer in Holland. In the summer of 2008 I paddled on the Baltic Sea. 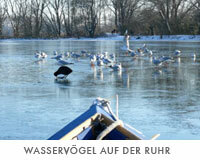 In Winter 2008/09 I had ideal conditions to train for an Arctic experience: I paddled the frozen river Ruhr. I could experience the ability of a folding boat to handle ice. My boat's skin survived that test very well. I strongly believe it is the right boat for the Arctic. Only a few folding boats are really able to handle these extreme conditions. 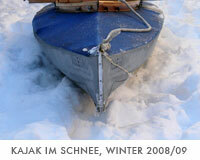 Heike did three of her multiple-week Arctic experiences in Feathercraft folding boats. Even if the skin gets a tear, it can easily be repaired. 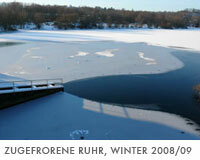 In February 2009, I went to several German marine museums. I did some research in their libraries. Among others, I found the book "Mit Flugzeug, Faltboot und Kamera in den Eisfjorden Groenlands" (With Airplane, Folding Boat and Camera in Greenland's Ice Fjords) by Ernst Sorge. He describes in detail his experience with a Klepper folding boat in the western fjords of Greenland. Even when ice started developing on the surface, they still were able to safely paddle the waters. That convinced me further about the advantages of folding boats in the Arctic. Another, more frequently written book, "Im Banne der Arktis" by Conrad Gallei and Gabi Hermsdorf, who paddled with Klepper folding boats along western Spitsbergen, helped me further in my decision which boat would be the best choice for this expedition. I decided to use a Klepper Folding boat on this expedition to Svalbard. 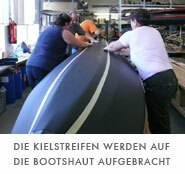 Since decades, Klepper produces folding boats which were used in extreme expeditions and tours around the globe. The most famous one was the crossing of the Atlantic by Hannes Lindemann in the mid-1950's (Alone at Sea). I contacted the Klepper company in Rosenheim and described my project. They were interested and offered to customize a boat especially for this expedition to Spitsbergen/Svalbard. I travelled to Rosenheim to personally look at their production and discuss the necessary changes I needed for Svalbard: For example, I need a way to attach an icepick, a shotgun, an axe and two solar panels to the outside deck of the boat. Some areas of the outer Hypalone skin have to be re-enforced to prevent cuts by ice flows or abrasions by gravel when landing. Mrs. Speth, a seamstress at the Klepper company, showed me some interesting pictures of changes they made to Klepper boats for the French Army. Also, the wooden frame needed to have some changes made to it. I decided on the Klepper Arius 2 + 545, a double. This boat enables me to transport all equipment necessary for this multiple-months expedition. Another important aspect is the possibility to be able to sail this folding boat. Klepper offers the S1 sail which has a surface area of about 23 sqft, that enables me to sail if the winds are favorable. We have some crossings of 60 miles and more. The newest addition to Klepper's sails is a device which allows to pull in the sails even in strong winds and when sitting. To get the permission for the Svalbard expedition, it is crucial to have a gun and also have some training with it. I already contacted the police in 2008 – Germany has very strict gun laws. My time in the German army does not count for experience with guns. Therefore, I took a class to learn safe handling of guns. I had to take an exam in that field to get a certificate. 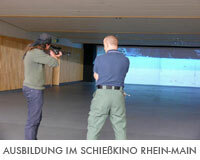 I got some training in a "Schiess-Kino" (indoor shooting range), which is a very realistic training situation. Mr. Thorsten Mann at Mauser offered to donate the Mauser-Carabiner M03 Trail Light for the expedition it is almost 10 ounces lighter than Mauser's normal Trail. Heike will use a Mossberg cruiser 500 pump gun 12 gauge, mariner – a stainless steel model, which resists the marine environment. Uli, through his company ENJA Outdoortechnik, offered to let me use a special tent stove. His small and space-saving stoves are constructed in a way that allows to heat a tent and cook, to save fuel. Driftwood from Siberia is very common on some areas of the coast of Svalbard. We are planning to use it for fuel. For this reason, Uli built a special collapsible saw. In addition, he designed a few more items for us, which will be very helpful in the expedition. Heike and I are both using Hilleberg tents. I will have a Staika, which is an extreme wind resistant tent and doesn't need stakes to hold it up, which can be very important when the ground is too rocky or sandy. Heike will use a Tarra, which has similar properties. Zoelzer, the 40-year-old company, which supplies German water enthusiasts with all the necessary equipment, invented several interesting items which are useful for kayakers. The junior president of the company became interested in my project and offered water-tight stuff sacks that fit into the tips of the boats to use the extra storage room efficiently. Especially interesting are the compression pump sacks which allow to inflate the sponsons in the folding boat, and the pontoons on the outrigger. These can also be used to vent the last possible space in the boat for storage of sleeping bags and other winter equipment. I am very thankful for the generous support and help from the Zoelzer company and especially to Andre Zoelzer who gave his personal attention to this project.